I have told you about Rainbow Words. The idea was wonderful and Big M (along with several classmates) finished up the rainbow just before Christmas. Since the rainbow words were supposed to last for the year I was anxious (yes I was anxious… teachers have to love me. 😉 ) to see what the next step would be. Well Big M’s teacher out did herself and I am giving myself a pat on the back for finding this incredible school. I believe in changing the curriculum to the student…. YES!!! So here we are, working on spelling. FUN! 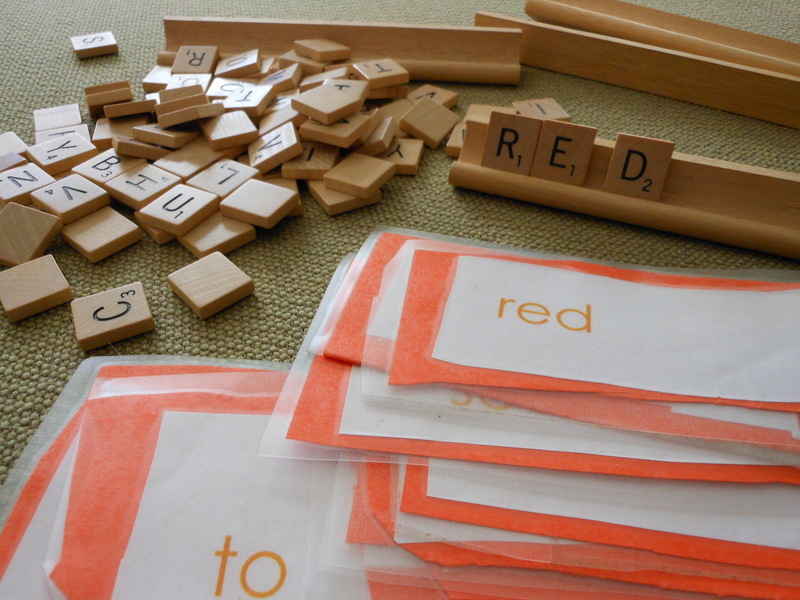 I brought out the orange words (the red words were easy… no practice needed) and the scrabble tiles. I read a word and asked Big M to spell the word with tiles. 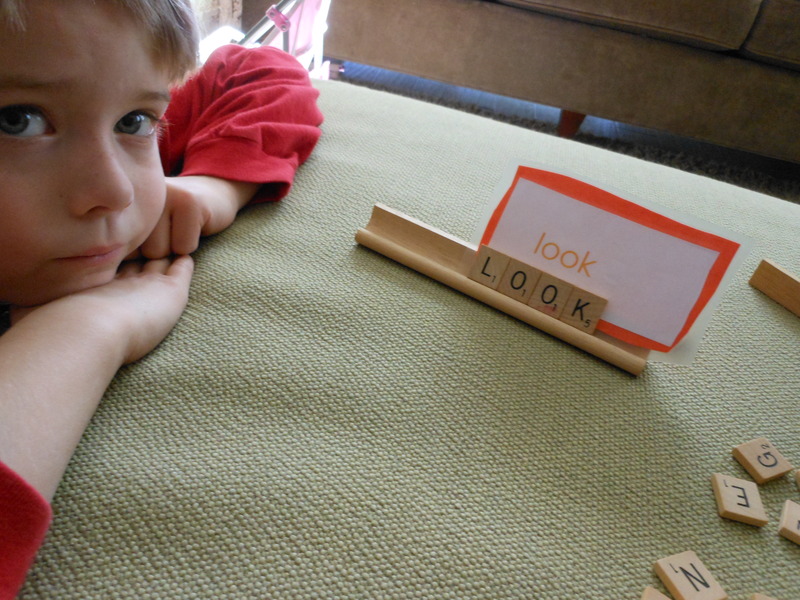 Once the he had the word ready I handed over the sight word card and let him check his work. Tip: What you can’t see in the picture is that Little M had her own tiles. She was inventing words and practicing letters while we worked. I love activities that make working together easy! I hope so!!! Please let me know.